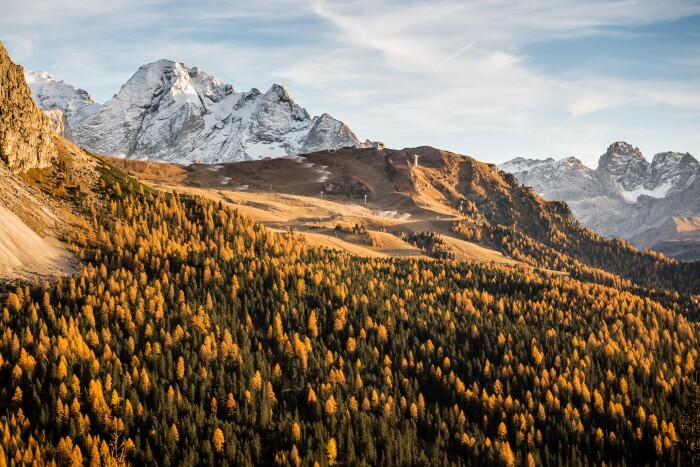 The Dolomites in Val Gardena deserve to be admired in their every single side, at all times of the day: they are able to astonish each time as the first, always showing spectacular. You will notice by observing them at dawn, in the morning, during the afternoon, at sunset, in the evening and at night, they’ll show themselves to you in a different way, making you fall in love once again with their beauty. To see these enchanting mountains once is not enough: as the light changes, they change too, surprising the observers once again, as something that can never be fully known. 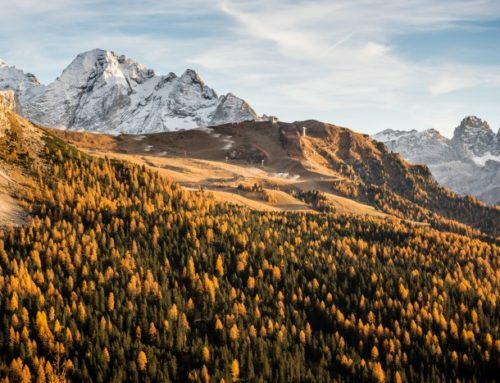 Exploring Val Gardena, practicing the countless activities it offers, you will always see new landscapes, unexplored places, peaks that are differently depending on the light. 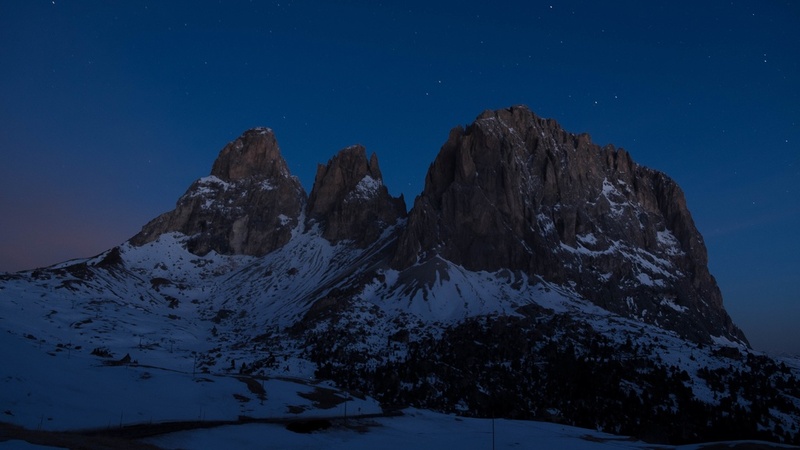 Have you ever lived an experience in the Dolomites at night? 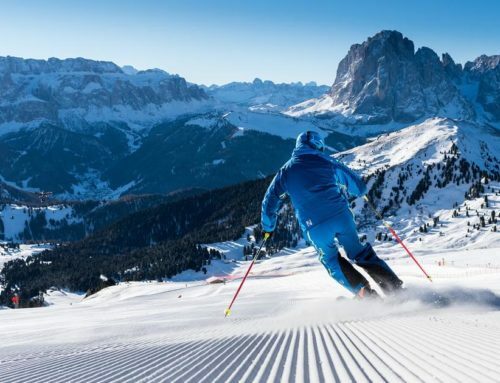 If you love the mountains and you love winter sports, you can not miss the opportunity to practice them at night in Val Gardena, discovering a new side of the Dolomites. Here are some night activities proposals to experience unforgettable experiences and adventures that will make your winter holidays in Val Gardena even more special. The keywords? 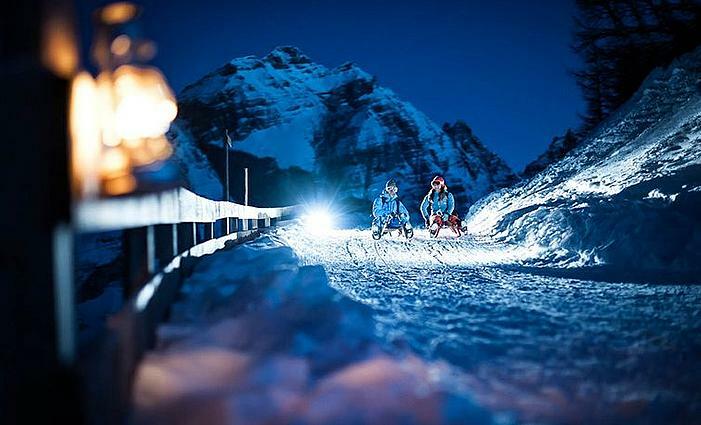 Dolomites, night, winter, snow, sports. For mtb lovers here is the unique opportunity to experience a winter ride on the snow, discovering Monte Pana and Alpe di Siusi. Have you ever thought about riding on the snow? In Val Gardena this is possible thanks to the e-fat-bikes, electric bicycles with wide tires that are perfect for snow tours. 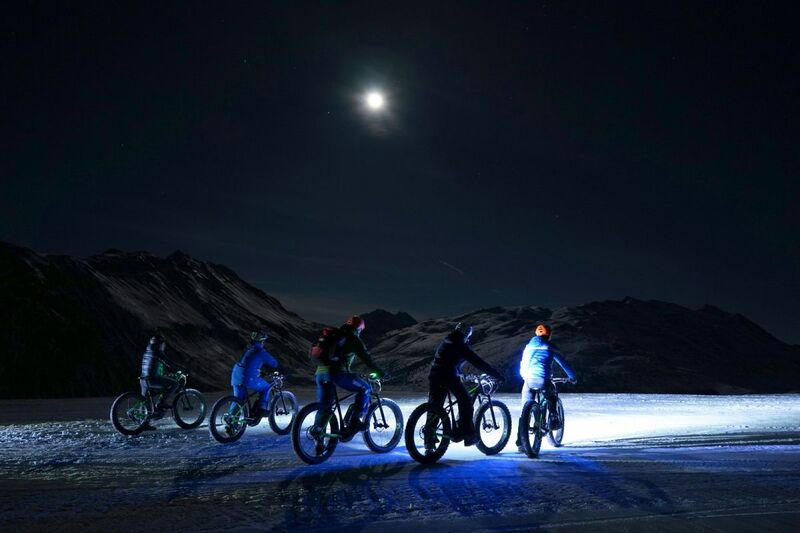 The bike-tour on the snow starts from S. Cristina at 17.00 (where you can rent your own fat-bike): an expert cycling guide will guide you through trails to discover Val Gardena and the Dolomites in the moonlight. The experience ends up with a traditional dinner in a mountain hut. The fatbike is a great winter alternative for an outdoor activity exploring the mountains in contact with nature. To find out more about e-bike rental, mountain biking, racing bike visit Bike Adolf. 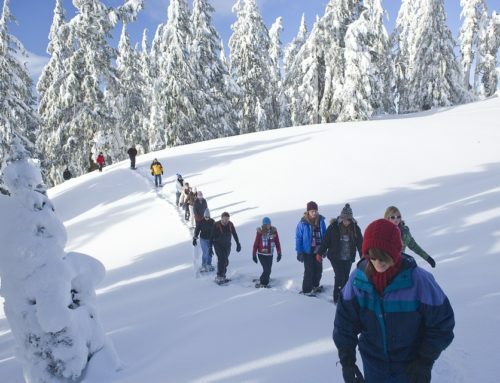 An activity not to be missed in the mountains is the night cross-country skiing, enjoying silence and nature. You can live this experience in Val Gardena during two full moon evenings on 22.01.2019 and 19.02.2019 from 20:00 to 22:00, thanks to the initiative of the Monte Pana fund center in S. Cristina. The evening will end up tasting delicious hot wine to warm up. Free entry, free equipment rental (more details about the event). 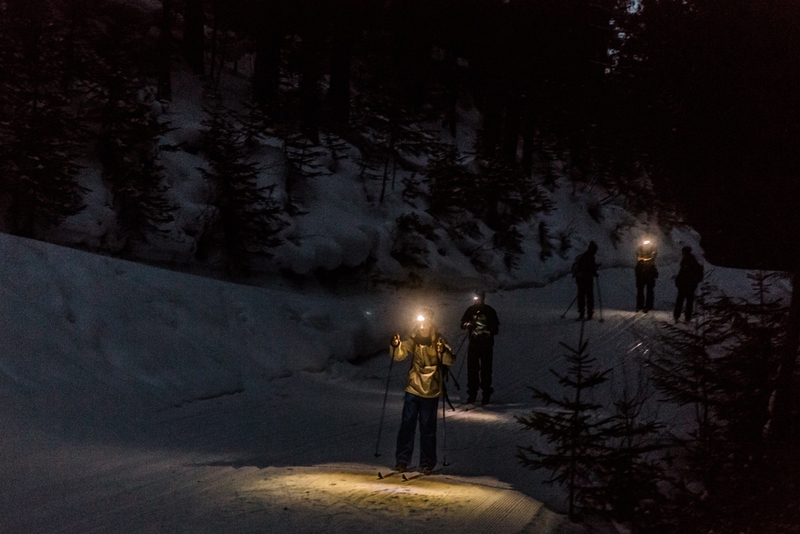 Night excursions with snowshoes are a classic in the mountains and certainly can not be missed in Val Gardena. 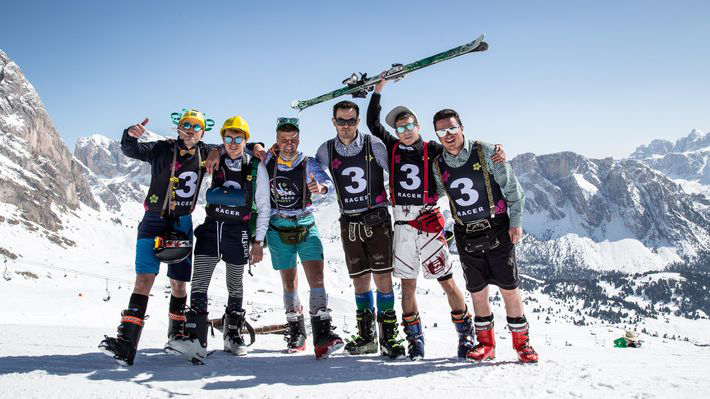 Every Thursday Val Gardena Active (Selva) organizes a snowshoe hike of medium difficulty followed by a traditional dinner. It’s a perfect opportunity to practice a winter activity in the Dolomites suitable for everyone, discovering and exploring the beautiful area under a different light: that one of the moon. The meeting point is at 5.45 pm at the Active & Events office in Piazza Nives in Selva Val Gardena. 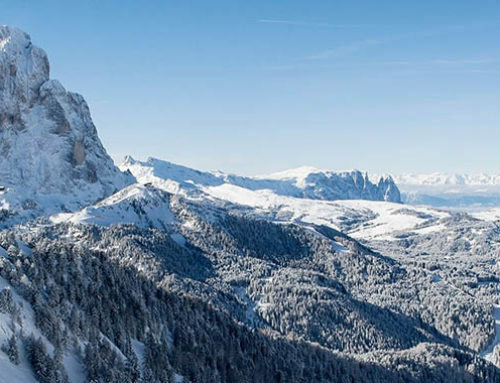 Hotel Somont is partner Val Gardena Active (Selva): if you have any questions, please do not hesitate to contact us, we will be happy to provide you with all the information you need. Mountain, winter, snow, what else? Obviously a sledge to go down the slopes at night with an electric torch, fun is guaranteed for any age! A long sledge in the moonlight or with electric torches, a unique and exciting experience for adults and children, to be done once in life. It’s organized every day by reservation with departure at 19:00 by bus directly from your accommodation. The mountain hut will be reached with the snowcat or snowmobile, sleds and torches are free for the participants. After the sledge experience you can dine enjoying typical dishes. The return to the hotel is planned at about 11:30 pm and the price per person without drinks is € 85. You can book by sending a message to the number 335 5606141 indicating the date, number of people and accommodation or by e-mail to info@taxigardena.com. The second proposal is a sledge in the Puez-Odle nature park. The starting point is the station of the train of Resciesa, with which to reach the summit and enjoy an excellent dinner and then descend down into the village with the sled. 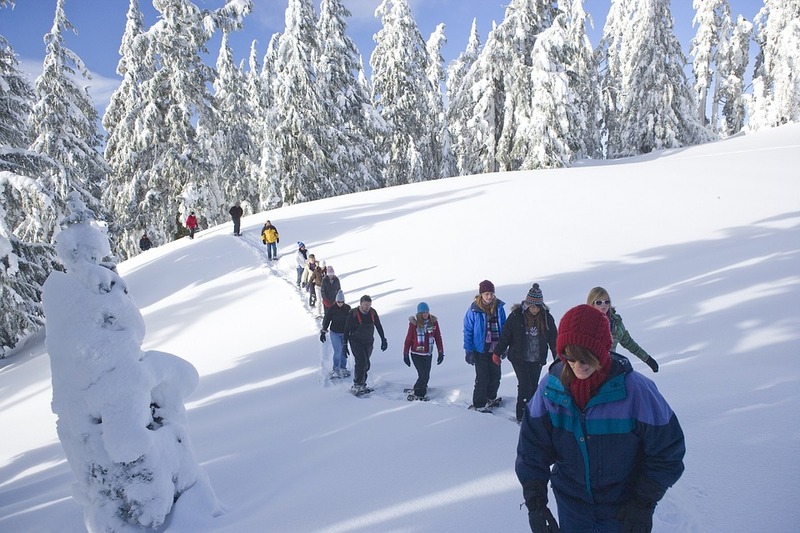 A previous experience with the sled is recommended, but not required. The event is organized every Wednesday at 18:30 at the Resciesa funicular valley station. 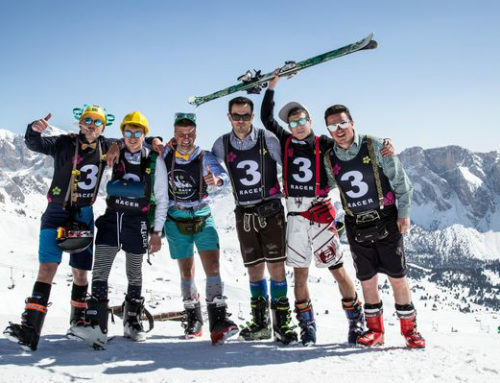 The cost is € 69, for more information write an email to info@adrenalina-dolomites.com. Special and traditional dinners in the Dolomites? If you want to fully enjoy Val Gardena tasting typical dishes in an authentic mountain atmosphere, at this link you will find many suggestions and ideas for dining in mountain huts and restaurants. 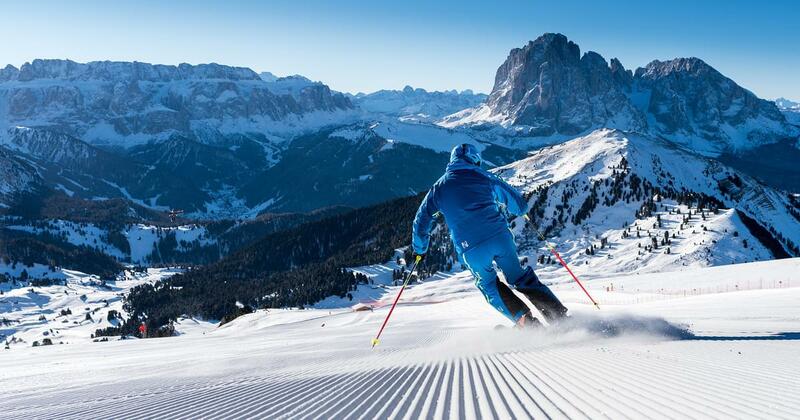 Would you like to book your stay in Val Gardena with all the facilities to practice sports and activities on the snow? 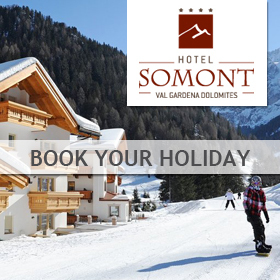 Hotel Somont is the place for you: we are in Selva Val Gardena, we are partners of Val Gardena Active and we will not hesitate to provide you with everything you need to make your holiday unforgettable!